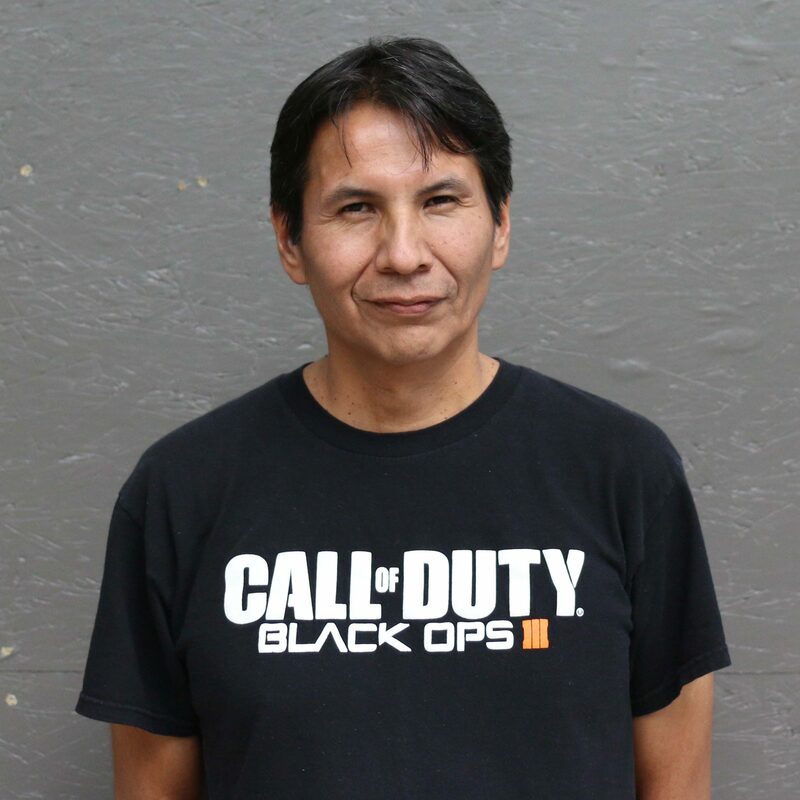 Carl Singer is a student at the University of Lethbridge, Alberta, majoring in Native American Studies. He is a member of the Blood tribe, whom are a part of the Blackfoot Confederacy, which comprises of the southern Peigan (Montana), the northern Peigan, the Kainai (Blood), and the Sikksika. Carl’s contribution to the Blackfoot dictionary project entailed translation of English words and phrases into Blackfoot, editing of Blackfoot audio recordings using Audacity software, and consulting with project staff about grammatical concepts pertaining to the Blackfoot language, which also included numerous elicitation sessions. As a child I grew up around my grandparents who were very fluent in Blackfoot. I loved being around my grandparents because their house would be always filled with relatives and friends who saturated the air with the Blackfoot language. Being immersed in the Blackfoot language at such a young age instilled in me the ability to speak and understand the language. My grandparents were a huge influence in my ability to speak fluently and understand the Blackfoot language, which is why this particular project is near and dear to me. I have always been aware of the Blackfoot language being in trouble and that this particular trouble stems from elders and parents who are no longer teaching and sharing the language with their children and grandchildren. My passion and the love for the Blackfoot language prompted me to acquire a university education, so that I could be an active participant in helping to save and document the language for future generations of Blackfoot speakers. I would like to thank Dr. Inge Genee for giving me this wonderful opportunity to be a part of this prestigious project and I also would like to thank the Blackfoot Digital Dictionary staff for being so professional and friendly, always eager to help in whatever way!